Ashwell Prince believes Kyle Verreynne is capable of making the step up to the Proteas Test side. 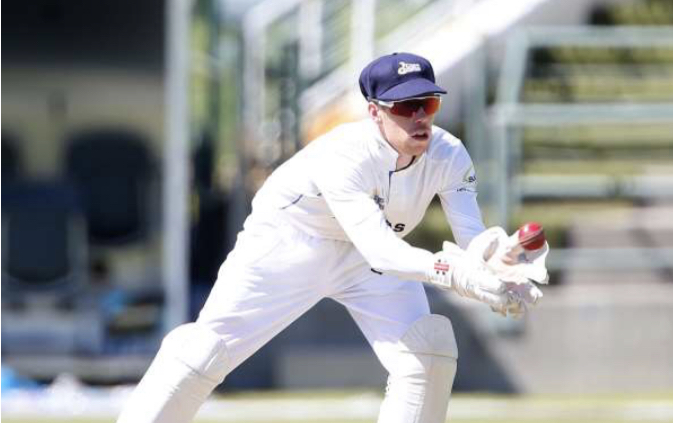 The Cobras wicketkeeper-batsman has had a remarkable two seasons at the Cobras, especially in the four-day format. In his first season he scored 580 runs at an impressive average of 48.33 in the 2017-18 Sunfoil Series, and was rewarded by CSA at their annual award ceremony, picking up the Newcomer of the Year award. He followed this up with 583 runs at an average of 44.84 in the 2018-19 4-Day Franchise Series season. Cobras coach Prince, acknowledged his player’s ability and backed him when he revealed his World Cup XV in February. ‘Kyle has done himself no harm. He’s had two very good seasons. Obviously my feelings are well documented. I backed him as an outsider potential second wicketkeeper for the World Cup about a month ago. I have my reasons for that, I work with him, so I know what he is capable of,’ said Prince at a press conference on Monday. ‘Again another one who, regardless of the situation, steps up every time. It’s those type of players that I’m really impressed by – people who stand up in tough situations. ‘He’s only small in figure, but he almost bats at a 100 strike rate, and the skill there is that he is not a big hitter in the sense that he smashes boundaries, but he’s almost able to score off every ball and that’s a real skill that senior senior international players don’t have. ‘If I was a selector, particularly in One-Day cricket – those are the type of skills you’re looking for – somebody who’s not going to soak up a whole lot of dots and then go for a big shot, but is able to score off every ball. That’s a real skill that he’s got. ‘As far as selection of the Proteas team is concerned, we don’t have any influence on that. They obviously have their reasons for their choices. He’s a very competitive and motivated guy, and I’d say playing for the Proteas is very high up on his agenda, but obviously he’s still young and there’s a lot of time ahead’. Prince went further and suggested that Verreynne would have been selected in his Test side if he was a selector. ‘I’d say that if I had any influence on the national team – the way they batted this year in Test cricket – I would move Quinton [De Kock] to No 4 and take the gloves off him and give it to Kyle. ‘That’s how much I back him, but that’s my opinion. The way they batted in Test cricket this year – Quinny being not out or trying to smack with the tail towards the end of [of the innings], he’s wasted. He’s probably South Africa’s best batsman at the moment. So that’s what I would properly do – move Quinton to No 4 and give Kyle the gloves.